The club series is composed of two major events per season: The Travelers provincial curling club championship and the Caledonia cup. Non-elite curlers are invited to participate in both of these events. 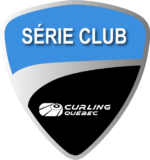 Curling Quebec aims to provide recreational curlers with the opportunity to compete in a provincial championship that is adapted to their skill level.